The mystical Himalayas have seduced travelers for many years. Free your spirit of adventure and explore this unique region. Explore Delhi and its spectacular sites and head to the cooler climes of the mountains and Shimla, enjoying a heritage walk. Visit Manali, with its forests, streams and colorful markets. Experience charming mountain towns and villages along with the Tibetan center and home to Dali Lama, Dharamsala. 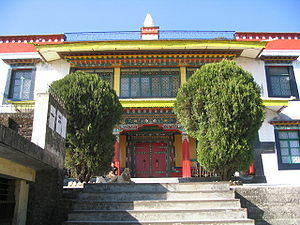 See the Tibetan library and Archives and Norbulinka. Travel to Amritsar and tour the exquisite Golden Temple, a spiritual center for the devout Sikhs. Himalaya Spirit guarantees that you will indeed experience the wondrous energy of this spiritual land. Explore Humayan’s Tomb and nearby Tibet House, before the Moghul-era Jama Masjid, passing the India Gate and impressive Parliament buildings on the way. Discover Old Delhi on an exciting rickshaw ride, and visit the impressive new Akshardam Temple. Travel by rail and road to Shimla, the former summer capital of the British Raj, and ride the famous ‘toy train’ to Khanda Ghat, where you enjoy lunch in the Himalayan meadows, before exploring the colonial buildings and mingling with the locals on The Mall. Head deeper into the Himalayas, passing glacier-fed streams and the tiny mountain settlements of the picturesque Kullu Valley. Explore the temples and wooden houses of Manali on foot, stopping by Naggar Castle, see local markets and the Hadimba Temple. Visit the ancient Hindu temple complex at Baijnath and the Norbulingka Institute with its Tibetan crafts and artisans, before continuing on to Dharamsala, centre of Tibetan culture and spirituality in India. Explore its monasteries and bustling market streets.